Pacific Northwest, and my earliest memories include crossing the Rockies en route to a suburb of Tacoma, Washington. In later years I became a stamp collector, imagining remote destinations I might someday visit, and I listened to the radio—when, after dark, the signals from remote 50,000-watt stations would boom onto my tiny transistor radio, under the blankets. 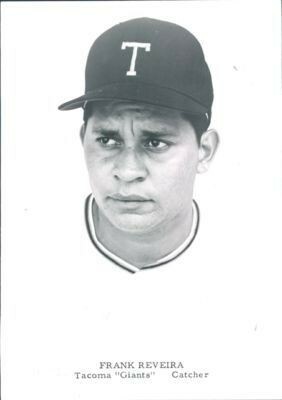 In 1961, Hawai'i's Frankie Reveira was starting catcher for the Pacific Coast League champion Tacoma Giants. Growing up on the West Coast, I heard major league baseball when the Brooklyn Dodgers and New York Giants relocated to Los Angeles and San Francisco, respectively, and the legendary Vin Scully helped make me a lifetime Dodgers fan. Locally, though, I was a fan of the Tacoma Giants (Pacific Coast League), and I would lie awake until the bars closed—even though I was nowhere near drinking age—to hear Don Hill’s re-creations when Tacoma played the Hawai’i Islanders in Honolulu (those games started at 11 p.m. Pacific Standard Time). In fact, the Tacoma Giants themselves employed a Hawaiian catcher by the name of Frankie Reveira (whom Hill, unfortunately, nicknamed “Johnny Pineapple”), and a number of Hawaiians now play in the majors. 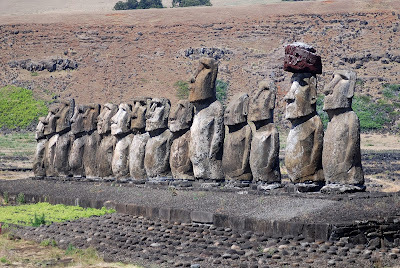 Oddly, despite its relative accessibility, Hawai’i was not the first Polynesian island I ever visited—that “honor” goes to Rapa Nui (Easter Island), which I’ve visited at least half a dozen times in the course of writing and updating guidebooks to southernmost South America (Rapa Nui, of course, is a Chilean possession, though it’s gained some autonomy is recent years). 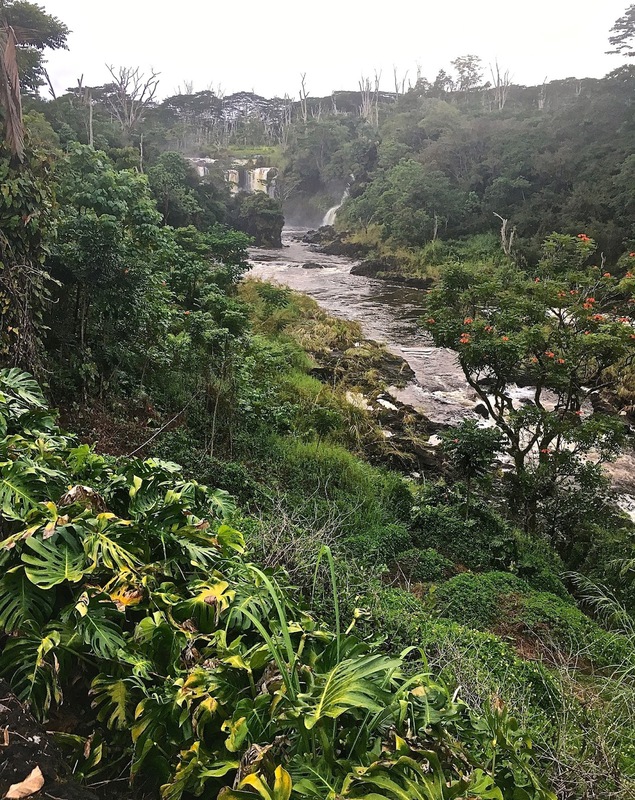 Hawai'i, especially the Big Island, has dense forests and rivers that Rapa Nui lacks. 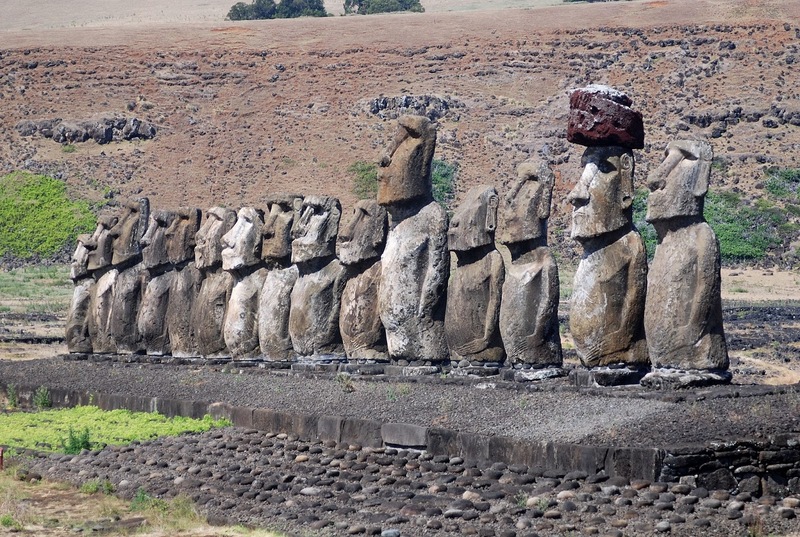 Hawai’i, of course, has a far greater land mass (10,931 square miles, about 28,300 sq km) than Rapa Nui (just 63 square miles or 164 sq km), with a much larger population (1.43 million v. 5,800 or so), but the two still have much in common. While Hawai’i is a literally tropical archipelago (Honolulu’s latitude is 21° N), Rapa Nui (27° S) is a bit farther from the Equator and, with the islets of Motu Iti and Motu Nui, it barely classifies as an archipelago. 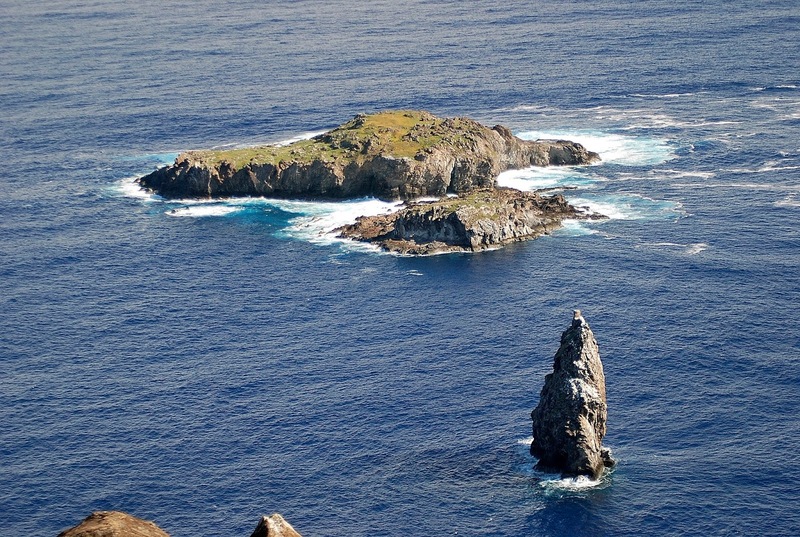 Motu Iti and Motu Nui lie a short distance off the Rapa Nui shoreline. 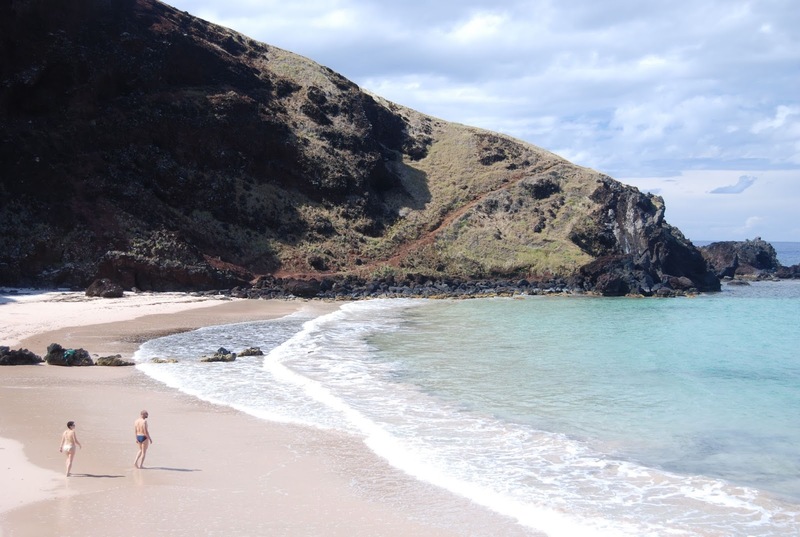 Rapa Nui's Playa Ovahe is far less crowded than just about anywhere in Hawai'i. Both areas are volcanic, though Rapa Nui has no active volcanism and its handful of beaches is far less crowded than Hawai’i’s. Both have lava tubes, however, that are open for short hikes. Hawai’i retains much of its native forest, while nearly barren Rapa Nui now has only non-native trees. There have been efforts, however, to re-introduce the native toromiro tree, which is extinct in the wild but present at botanical gardens at Kew and Gothenburg. 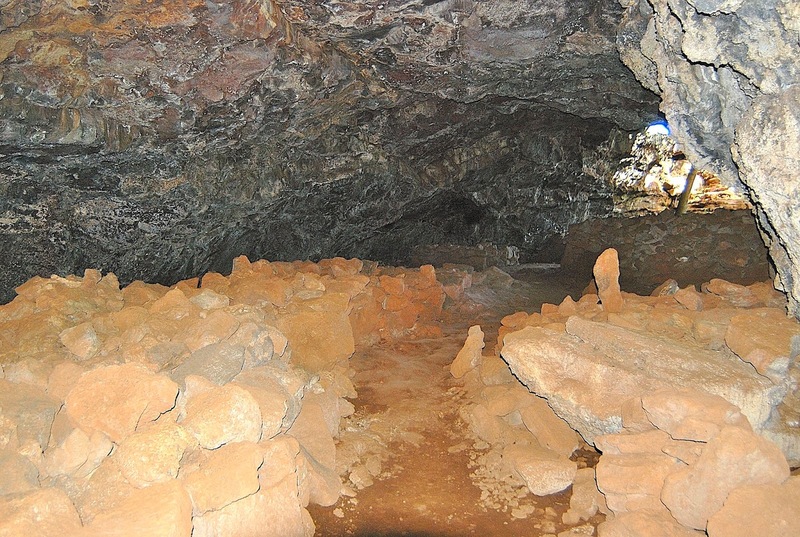 Rapa Nui's Ana Te Pahu is far smaller than the Thurston Lava Tube. There are also some links between the Polynesian peoples of the two archipelagos. 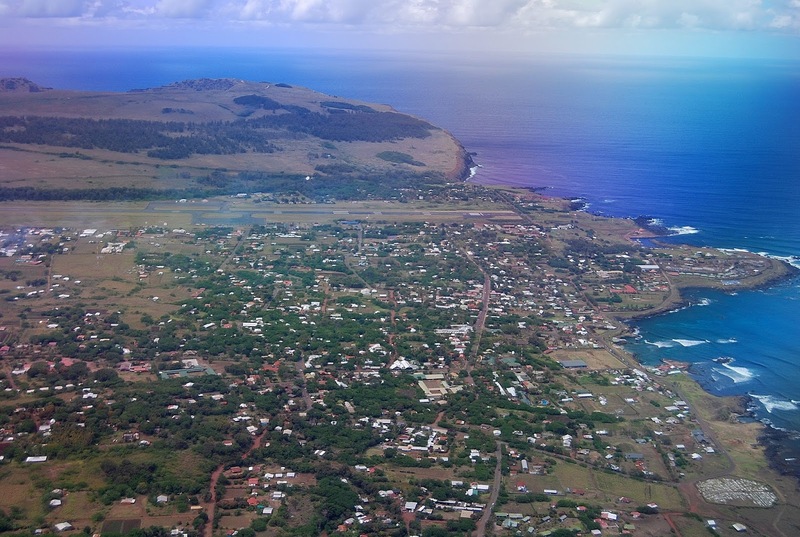 Educated in the United States, former Rapa Nui governor Sergio Rapu earned an M.A. in Pacific culture and archaeology from the University of Hawai’i, and has helped supervise the restoration of megalithic monuments such as those at Ahu Tongariki and other sites (the term ahu, denoting a memorial altar or shrine, is also common in Hawai’i and other parts of Polynesia). What Rapa Nui really lacks, though, may be its own Frankie Reveira—soccer, sadly, is the prime participant sport here. Former governor Sergio Rapu, who has studied and lived in Hawai'i, helped restore Rapa Nui's Ahu Tongariki. 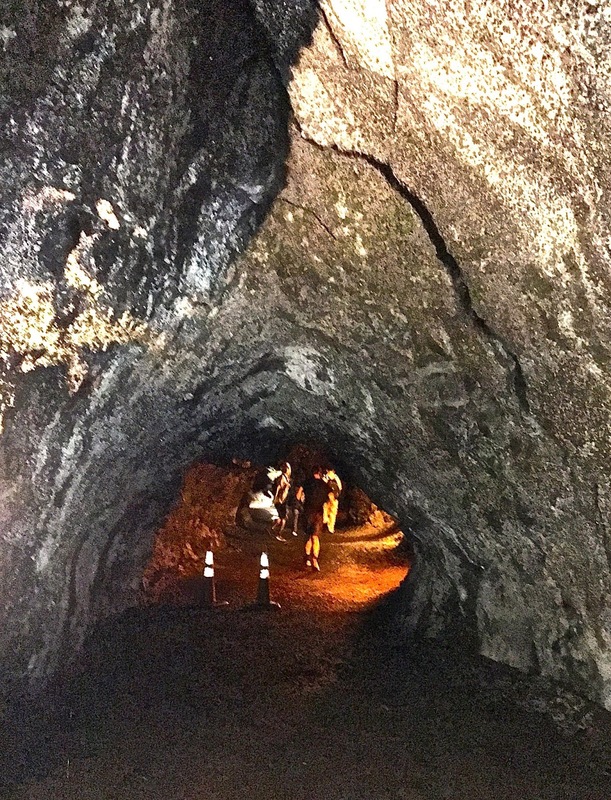 Just recently, I spent several days in Hawai’i—my first ever visit to the 50th state—and spent most of my time on the Big Island, in and around the city of Hilo. 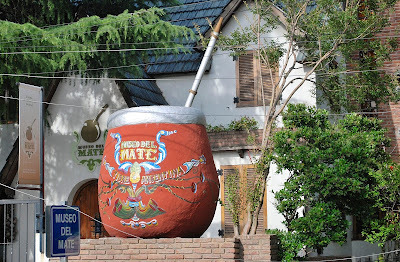 As always, I was on the lookout for links to my main region of interest, the Southern Cone of South America, and that turned out to be an herb—not the notorious Maui Wowie, but rather products made from yerba mate, the tea-like infusion that’s a daily presence in Argentina, Uruguay, Paraguay, and parts of Brazil and Chile. 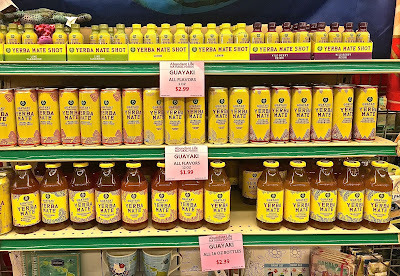 When I shop at Berkeley Bowl, my go-to supermarket for a diversity of products from around the country and the world, I’m not surprised to see a display of yerba mate products, but I did not expect to see any such thing in Hilo, with only 50,000 inhabitants (though it’s Hawai’i’s second largest city after Honolulu). 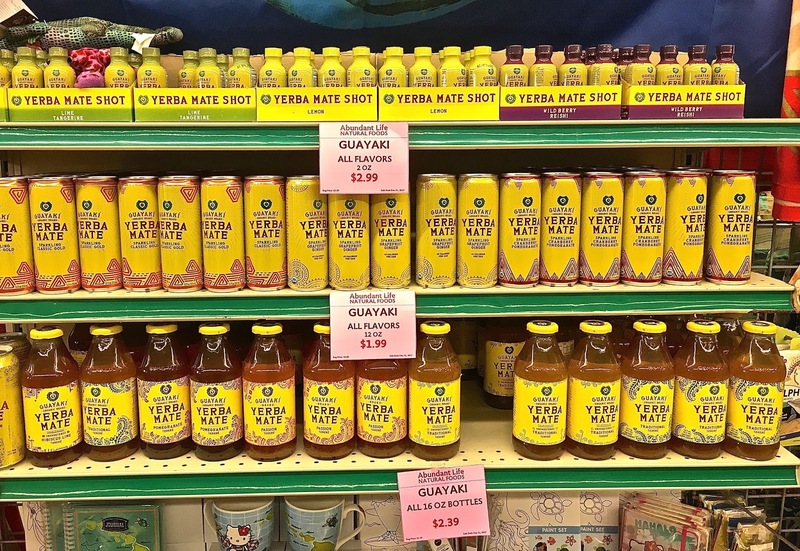 Nevertheless, there was an ample display of yerba items at the Abundant Life Natural Foods grocery on Avenue Kamehameha, in the historic business district, though I can’t recall seeing any packaged yerba for preparing mate in the traditional gourd. Only when I returned to the mainland did it occur to me that the local climate and conditions—hot and humid—resemble those of northeastern Argentina’s Misiones province, the source of most yerba that finds its way to markets here. In fact, Hawai’i’s native Ilex anomala is a close relative of South America’s Ilex paraguariensis, though the “Hawaiian holly” seems to be rarely cultivated. 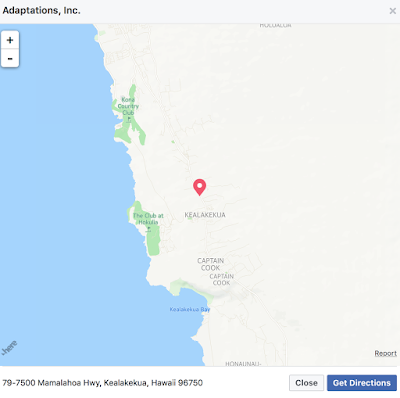 Yerba mate, however, can and does grow on the west side of the Big Island, at the Adaptations Inc Farm, not far from the resort town of Kailua-Kona. 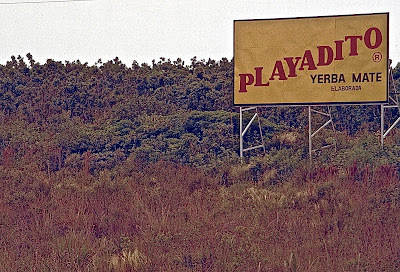 As it happens, though I never realized it, we had passed nearby when we spent last Thursday driving around the Big Island. Yesterday, when I inquired at the Adaptations Facebook page, they responded that “We have one pet tree for personal consumption.” Thus, I don’t expect to see Hawaiians walking around town sipping on their gourds any time soon. Beisebol no Brasil, o Brasileiros no Beisebol? October is the best of times, and the worst of times. It’s the best because the baseball comes to a climax—my Los Angeles Dodgers won the first game of their division series last night—but it’s also worst because baseball virtually disappears off the calendar until spring training begins in February. 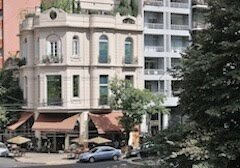 From early November, I’ll be in South America, mostly in Argentina, where baseball is a tiny niche sport. 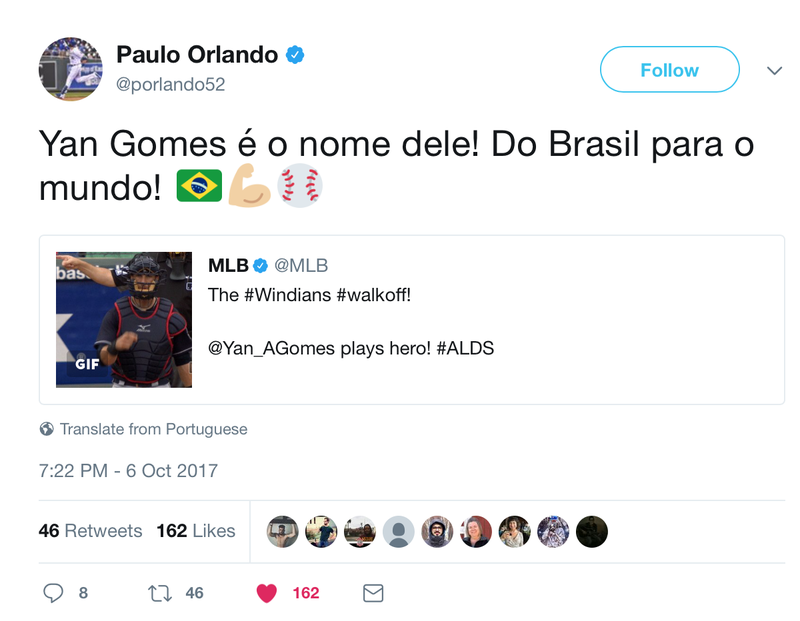 Brazil's O Globo daily tweeted the news of Gomes' heroics against the Yankees. That said, baseball got more extended press in Brazil last night when Cleveland catcher Yan Gomes—a native of São Paulo and the first Brazilian ever to reach major league baseball—made all the difference in the Indians' 9-8, 13-inning victory over the New York Yankees. 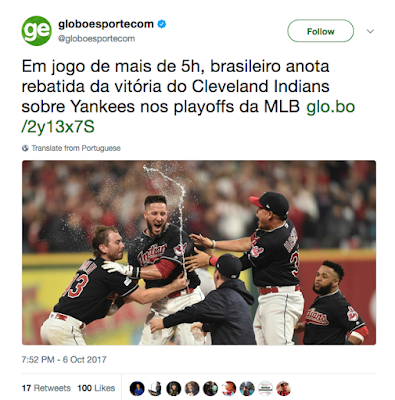 The Rio de Janeiro daily O Globo published a lengthy account of the game on its web page, stressing of course the exploits of their countryman. For Cleveland, Gomes—who plays the most demanding position on the field—was the hero of a comeback from an early 8-3 deficit. In the top of the 11th inning, he thwarted a Yankees’ rally by picking off the potential winning run at second base, on a brilliant throw with nobody out. Then, in the bottom of the 13th, his walkoff single into the left field corner drove in the winning run and his teammates mobbed him. "His name is Yan Gomes! From Brazil to the world!" There aren’t many Brazilians in major league baseball (most South American imports are Venezuelan), but Gomes’ countryman Paulo Orlando—who waxed enthusiastic over Gomes’ performance—was the first to win a World Series ring, with the Kansas City Royals in 2015. Seattle relief pitcher Thyago Vieira and former major leaguer André Rienzo (now in the San Diego Padres’ organization) are also paulistas, while Atlanta’s promising Luiz Gohara comes from a smaller city in São Paulo state. 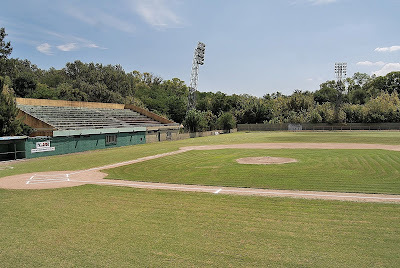 Buenos Aires's Liga Metropolitana plays at the Estadio Nacional de Béisbol, near the international airport at Ezeiza. 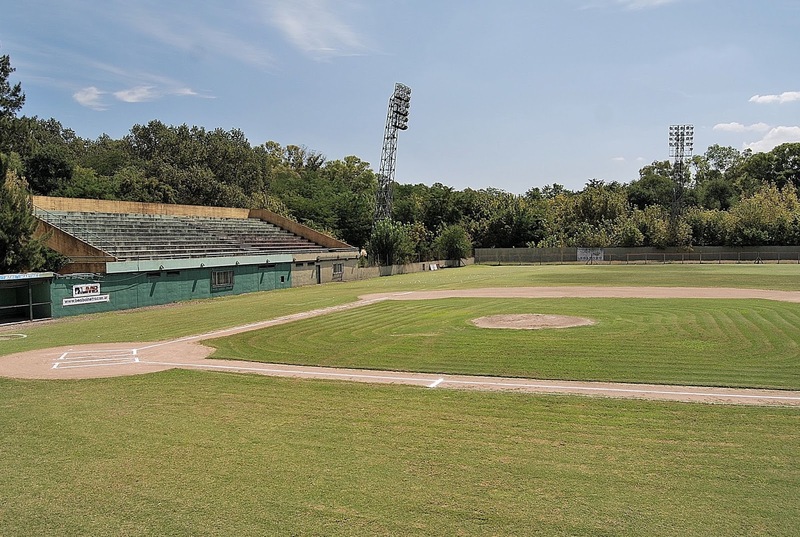 Unfortunately, even the limited advances in Brazilian baseball haven’t yet made it to Argentina (though there’s a league in Buenos Aires and a small national stadium, with other fields scattered around the metropolitan area). Thus, it’ll be quite a while until we see the impact that Argentines have made in professional basketball through players like Manuel Ginóbili and Luis Scola.